Last year, I was tagged by my friend, Ameriie, at Books Beauty Ameriie for New Year's Bookolutions. I had a lot of fun discussing the books I was planning on reading this past year (LOL can you guess my success rate?! ), and so I thought that I'd do the tag again this year. Last year I wrote The Seven Realms series, with The Demon King as the first book, by Cinda Williams Chima. Sadly, I have not read this series yet. 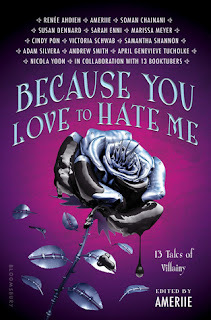 It's still on my TBR. 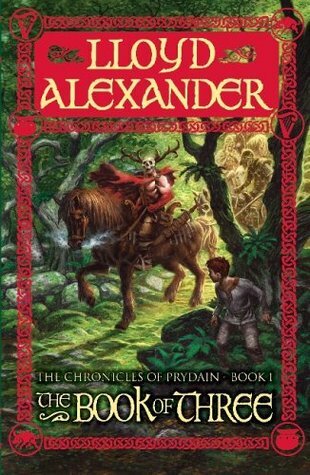 This year, I'm writing the Chronicles of Prydain by Lloyd Alexander. I can't remember which author mentioned the series in an interview, but that reminded me of an article I'd read in my Children's Literature class three years ago about how the Lloyd Alexander series handled its religious undertones compared to the His Dark Materials series (among others). It sounds like these are classic children's literature that have inspired many writers over the years, and I'm looking forward to seeing why. Last year I wrote The Legend trilogy, with Champion as the last and final book, by Marie Lu. Sadly, I have not read this EITHER yet. Okay, I'm 0/2 so far. Doesn't mean I won't read these books this year! 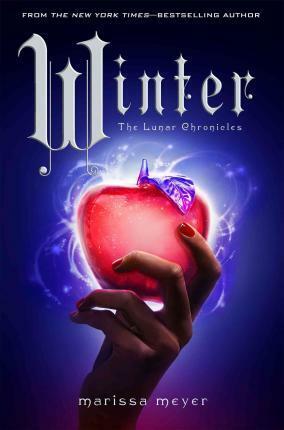 This year, I'm writing the Lunar Chronicles by Marissa Meyer. I pre-ordered Winter, so I've had the book since November, but since it's 800 pages, I was reluctant to take it home with me. Seemed too heavy for my carry-on, so that's only left maybe 20 or so days when I've had the chance to read the book. So, now that I'm back in New Jersey, and vacation is over, one of my goals is to finally pick up that book and finish the series! It's exciting to see such good things being said about the series closer (especially all the fan choice awards!). Last year I wrote An Unquiet Mind by Kay Redfield Jamison, because it had been assigned reading for my Biological Basis of Psychopathology class, and I hadn't read it then nor since. To be fair to myself, part of the reason why I haven't read this yet has to do with my having moved this past summer. I took a lot of books with me to the office each day, and er, I still haven't brought a good portion of them home with me yet. Likely, this book is one of them, and out of sight, out of mind. 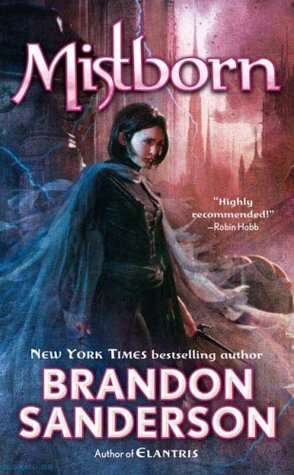 That being said, this year, I'm planning on reading Mistborn by Brandon Sanderson. I keep putting off this trilogy for a number of reasons, one of which being that my friend who committed suicide got me the books as a gift, and I know I won't be able to discuss the books with him. But I want to know why he considered Brandon Sanderson his favorite author; I want to know why he gave me these books, and want to read these book gifts! Last year, I wrote Harry Potter + The Queen's Thief series by Megan Whalen Turner. Both are, in fact, true. I recently read HP, actually, owing to the marathon ABC Family/Freeform had over Christmas(?) weekend of the movies. And TQT by MWT? I reread that series whenever I've got a book hangover, because it's awesome and will leave me in awe regardless. 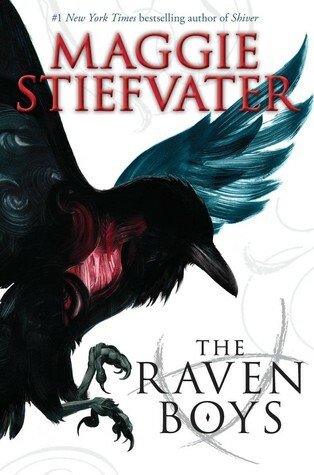 This year, I'll reread The Raven Cycle by Maggie Stiefvater. Since The Raven King is being released in 2016, I'll finally have all four books. I've already reread the first two books via the audiobook (WHICH I LOVE-- I love Will Patton's narration soooooo much), and I can't wait to do all four the same way or even reading through the text for various clues. Maggie Stiefvater has repeatedly said that she's plotted the books so that they would reward readers with their details. A reread would indeed make for a great experience. "I guess that I'd say nonfiction books with relation to science concepts or fantasy and literary criticism." That's definitely still true, even if I didn't really achieve that. I've got to stop reading my romance novels and be a little more focused if I want this to come true. This year, I'm planning on reading more YA historical fiction. It was pretty sad while writing my Book Shimmy Award nominations, when I realized that I hadn't really read much in that genre, and how I had to nominate a book with fantastical elements. So here's to getting around to more historical fiction, including books that I'd written on my TBR list for 2015 like Under the Painted Sky by Stacey Lee. Last year I wrote between 50 and 75. I definitely achieved that number, and I'm going to go with the same number this year. Hell, in the past two months, I've managed to read about 16 books. I think 50-75 books is a fair assumption for 2016, and I don't want to stress myself out and say over 100 or something, especially given the resolution I name below! This year, I'm going to follow in Anna's footsteps and say that my non-bookish resolution is to choose what's best for me. Come this February, I will be officially visiting some graduate schools, and come May, I will presumably (assuming I get accepted after my interviews!) be choosing a place for the next five years of my life. This coming year is going to be full of excitement and inescapable life decisions. So, resolution: I will choose what's best for me. So I'm probably supposed to tag people to continue this, but if y'all want to use the tag, you should! How would you answer these questions? What are some of your book and non bookish resolutions? Let me know!